CRAWLEY, EDMUND ALBERN, lawyer, Baptist minister, businessman, and educator; b. 20 Jan. 1799 at Ipswich, England, son of Thomas Crawley, a captain in the Royal Navy, and Esther Bernal; m. first in 1833 Julia Amelia Wilby, and they had one son; m. secondly in 1843 Elizabeth Johnston, and they had six children; d. 27 Sept. 1888 at Wolfville, N.S. When he was five years old, Edmund Albern Crawley’s family moved from England to settle near Sydney, Cape Breton Island, where his father held the position of crown surveyor. In 1816 Crawley entered King’s College in Windsor, N.S., and was graduated ba in 1820. 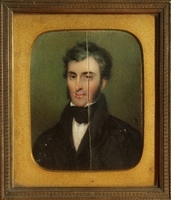 He then studied law in James William Johnston*’s Halifax law office and was admitted to the bars of both Nova Scotia and New Brunswick in 1822. He became identified with the Halifax group of socially prominent Anglican evangelicals, including Johnston and James Walton Nutting*, who in 1825 left the Anglican St Paul’s Church and in 1827 founded the Granville Street Baptist Church. 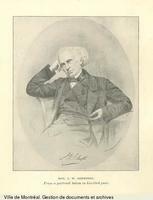 Crawley, who was baptized by immersion on 1 June 1828 and joined the church, soon felt called to the ministry. Giving up his law practice, from 1828 to 1830 he studied in Massachusetts at the Congregationalist Andover Theological Seminary and then in 1830–31 at Baptist-dominated Brown University in Providence, R.I. 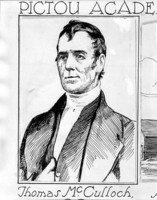 He was ordained minister at Providence on 16 May 1830 and the following year returned to Halifax to become pastor of the Granville Street Baptist Church, a post he held until 1839. It was in the field of education, however, that Crawley made his most significant contributions to Nova Scotian development. Early in 1828, together with Edward Manning*, Charles Tupper, and Nutting, he spearheaded the drive to provide educational facilities for the Nova Scotia Baptist community. Crawley later wrote that at this time Baptists “were regarded as occupying the lowest rank in religious estimation – were in fact despised as an ignorant and deluded sect.” To help raise the educational level of the Baptist community, and especially of its ministers, Crawley and his associates in June 1828 presented resolutions to the meeting of the Nova Scotia Baptist Association urging the establishment of Horton Academy at Wolfville, N. S. As a result, the Nova Scotia Baptist Education Society was established to found the academy and Crawley was elected one of the society’s two secretaries, a position he filled until 1837. Baptists continued to be excluded from the Anglican King’s College in Windsor, and were forced to send their Horton Academy graduates to the United States for a college education, where many of them stayed permanently. To alleviate this problem Crawley in the mid 1830s supported the efforts of Thomas McCulloch*, a Free Church Presbyterian minister and educator in Pictou, N.S., to reconstitute Dalhousie College in Halifax as a non-denominational institution of higher learning. It would appear to have been Crawley who persuaded the Baptists, some of whom wanted to elevate Horton Academy to college status, to support instead the Dalhousie plan. However, when in September 1838 he was denied a promised teaching position in the new “provincial” college because of his Baptist affiliation, his anger knew no bounds. Outraged at this “betrayal,” Crawley joined with John Pryor*, Ingraham E. Bill*, and others to persuade the Nova Scotia Baptist Association to proceed with the establishment of a Baptist college in Wolfville. By early 1839 Queen’s College (renamed Acadia College in 1841) was operating with Crawley and Pryor sharing the teaching and administrative duties. Until 1847, when he returned to pastoral work in Halifax, Crawley was one of the major driving forces behind the institution. In 1853 Crawley reluctantly agreed to leave his Halifax church and return to the college, which was suffering from financial difficulties and a small enrolment. However, he would accept no subservient position, and thus forced the recently appointed president, John Mockett Cramp, to relinquish that office. Crawley’s term as president was a disaster from which the college very nearly did not recover. On his advice the board of governors invested £3,410 (approximately one-third of the recently raised endowment fund) in the West Columbia Mining and Manufacturing Company of Cincinnati, Ohio, a speculation to which Crawley and many other leading Baptists were already heavily committed. During a trip to the United States in December 1854, he found the company on the verge of ruin, and on the basis of his own heavy investment and that of his friends, he assumed the presidency of the company early in 1855. A deeply divided and embittered Acadia board of governors gave him a one year’s leave of absence. This period proved insufficient and Crawley severed his ties with Acadia in September 1856. The years that followed were disastrous ones for Crawley himself. In spite of his best efforts, the mining company collapsed, carrying with it the Crawley family fortunes and the Acadia investment. Crawley was reduced to near destitution and his misery was compounded when his nephew and close associate, Thomas Henry Crawley, was stabbed to death on the streets of Cincinnati. A girls’ school, Mount Auburn Female Seminary, established by Crawley in 1856 on the outskirts of Cincinnati, also proved a failure. Through the intervention of an old friend, he was appointed in 1860 joint president of Lime Stone Springs Female College in Spartanburg County, S.C., but the outbreak of civil war the following year forced the closing of the college. Crawley spent the war years teaching in a private school in Shelby, N.C. In 1865 he was invited to return to Acadia College where he taught from 1866 to 1882, the last 13 years as principal of the college’s theological institute. 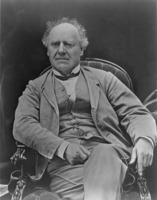 He had been awarded the honorary degree of dd by Brown University in 1844 and was given a dcl by King’s College, Windsor, in 1887. Crawley was without doubt one of the most ambitious and aggressive of the Maritime Baptist leaders of the 19th century. 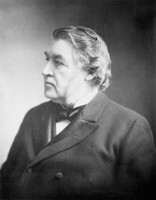 He was an early proponent of a system of public schools supported by compulsory tax assessment, instituted by the government of Charles Tupper* in 1866, and a frequent adversary of Joseph Howe*, whose plans for making Dalhousie a provincial university dictated his attacks on denominational colleges such as Acadia. Vitally interested in education, foreign missions, and general denominational progress, Crawley was none the less also interested in his own advancement. The founding of Acadia itself was to some extent a result of this characteristic. He could at times be rather high-handed in his drive for proper recognition, as is seen in his relations with J. M. Cramp. Crawley was a man who engendered either great loyalty among his supporters or great animosity among his opponents. Throughout his life, he remained generally unpopular within the Baptist denomination as a whole, except among a small circle of influential leaders. For many he remained too much the upper-class, urban intellectual within a denomination that was still predominantly lower class and rural. Acadia Univ. Arch. (Wolfville, N.S. ), Board of Governors, Minutes, I, 1850–83. Atlantic Baptist Hist. Coll., E. A. Crawley, Corr. and letterbook; Edward Manning, Corr., 1778–1859. Origin and formation of the Baptist church in Granville-Street, Halifax, N.S. . . . (Halifax, 1828). Christian Messenger (Halifax), 1838. Novascotian, 1838. The Acadia record, 1838–1953, comp. Watson Kirkconnell (4th ed., Wolfville, N.S., 1953). Andover Theological Seminary, General catalogue, 1808–1908 (Boston, Mass., 1909). I. E. Bill, Fifty years with the Baptist ministers and churches of the Maritime provinces of Canada (Saint John, N.B., 1880). A. W. H. Eaton, The history of Kings County, Nova Scotia . . . (Salem, Mass., 1910; repr. Belleville, Ont., 1972). Jubilee of Acadia College, and memorial exercises (Halifax, 1889). G. E. Levy, The Baptists of the Maritime provinces, 1753–1946 (Saint John, 1946). R. S. Longley, Acadia University, 1838–1938 (Wolfville, 1939). E. M. Saunders, History of the Baptists of the Maritime provinces (Halifax, 1902). Barry M. Moody, “CRAWLEY, EDMUND ALBERN,” in Dictionary of Canadian Biography, vol. 11, University of Toronto/Université Laval, 2003–, accessed April 24, 2019, http://www.biographi.ca/en/bio/crawley_edmund_albern_11E.html.